If you’ve got it flaunt it I always say …. 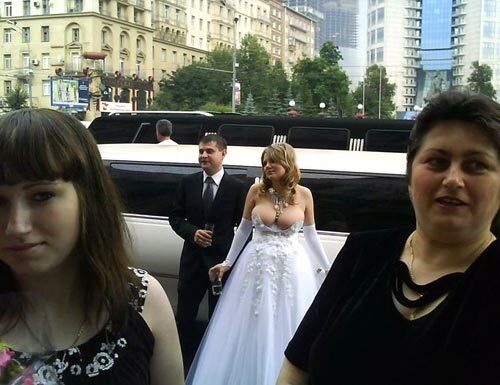 I havent had any of my brides turn up in anything quite like this lovely’s …. but i have had some very small wedding dresses which didnt leave much to the imagination. The groom usually looks smug and the guests look shocked. I love it! Dare to be different I say.